A mining accident destroys Praxis, a Klingon moon where energy for the entire Klingon Empire is produced. With only 50 years of life left to the Empire as a result, the Klingons open a dialog with Vulcan ambassador Sarek about ending hostilities with the Federation and dismantling all bases around the Neutral Zone. 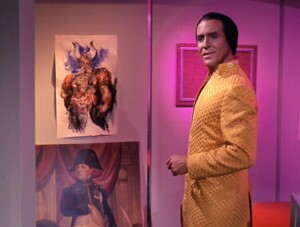 Spock has recommended Kirk for the diplomatic honor of escorting the Klingon High Chancellor Gorkon to a peace summit. 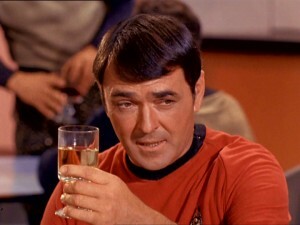 This enrages Kirk, who has come to despise the Klingons for killing his son David. The crew of the Enterprise has been court-martialed by Klingon request for the ship stolen and the lives lost in Star Trek III. Fortunately, or perhaps unfortunately, a mysterious probe that disables just about everything is headed straight for Earth. The probe sends a signal no one can understand, and when it doesn’t get a response it begins to vaporize the Earth’s oceans and ionize its atmosphere: a recipe for disaster. 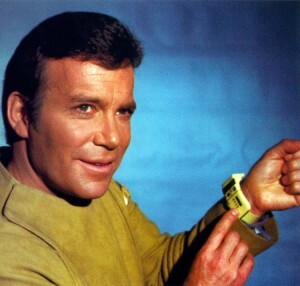 Spock, newly born again, discovers that the signal is the song of the humpback whale: extinct since the 21st century. 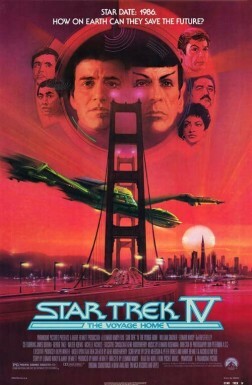 In classic Star Trek fashion, the crew go back in time to 1986 San Francisco to nab themselves some humpback whales. Enterprise returns to Earth to be decommissioned, with Kirk and the crew still mourning Spock. 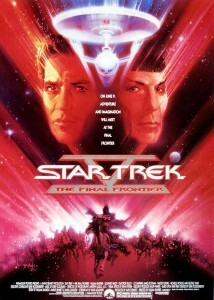 A visit from the Vulcan’s father, Sarek, offers some hope that their friend is only mostly dead–just before Spock gave his life to save the ship, he mind-melded with Dr. McCoy to implant his living spirit, or katra, in the doctor’s head. Kirk decides to go to the Genesis Planet to retrieve Spock’s body and take him to Vulcan, but there are two problems: Starfleet has classified Genesis as off-limits, and they don’t have a ship to get them there. A giant space cloud, impervious to conventional weapons but massively destructive, is headed straight for Earth. Naturally the Enterprise, fresh from a renovation, is the only ship in interception range. 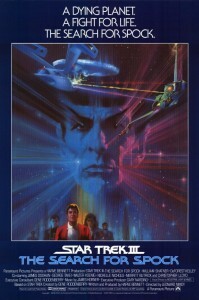 Admiral Kirk temporarily takes control of the ship from its captain, Captain Decker, and reassembles his old crew–including Spock, who just failed to complete the Kolinahr–to confront the cloud. 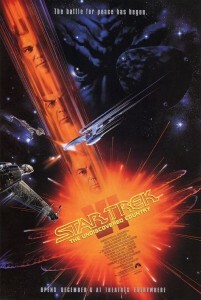 At last, Torie and I have fully recovered from the Star Trek Animated Series Re-Watch, and have completed or set aside our other pesky obligations, so it’s finally time to launch our rewatch of the Star Trek films! 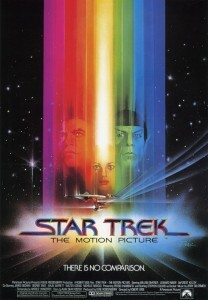 We’ll start things off where it all began with Star Trek: The Motion Picture this Thursday, October 6, then proceed through the rest of the films on the same schedule for the following five weeks, from planet Genesis and straight through the final frontier to the undiscovered country–with a short detour to 1986 to say hello to some whales and grab a slice of pizza. We hope you’ll join us for this exciting conclusion to the adventures of the original crew of the starship Enterprise and help give them a fitting sendoff. We’ve enjoyed sharing this series in all its formats with you all for the past two years, and we’ve both been looking forward to talking about the films for a while. Odds are even, it’ll be a good time! And as always, we appreciate it if you would spread the word to encourage an engaging discussion. Since we had such a fabulous time watching The Motion Picture, we’ll be doing it again with everyone’s favorite waxed chest, Ricardo Montalban. The viewing will begin on Saturday, August 27th, at 2pm EST. 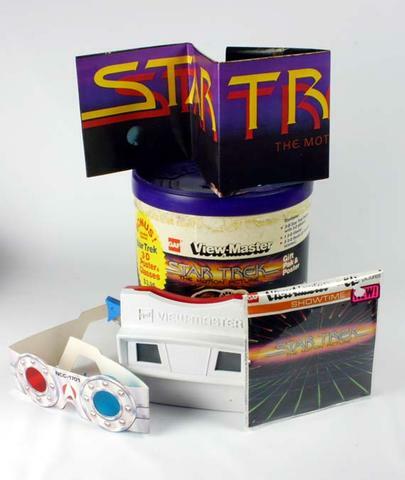 You’ll have to provide your own copy of the film, and as with all of our reviews, we’ll be watching the original theatrical release–no director’s cut, no “remastering,” just the movie as it was presented in 1982. I’ll be around no later than 1:30pm if you want to test out your microphone and just chat pub-style before the movie starts. Skype is going to be the utility of choice for voice chat (text wound up too cumbersome, but it’ll be available as an option if there’s enough interest). Skype is free and works on all platforms, so sign up! Iif you don’t have a microphone but do have a regular phone and want to be part of the chat, e-mail me your phone number (torie.atkinson [at] gmail [dot] com) and I will call you so you can join us. My name on Skype is torie.atkinson and Eugene is e.c.myers. Cover charge is a willingness to shout KHAAAAAAAAAAAAAAAAAAAAAAAAAAANNNNNN!!!!!!!!!. Let us know if we should expect you! For those interested in the party, the viewing will begin this Sunday, August 7th, at 2pm EST. You’ll have to provide your own copy of the film, and as with all of our reviews, we’ll be watching the original theatrical release–no director’s cut, no “remastering,” just the movie as it was presented in 1979. Skype is going to be the utility of choice for both voice and text. Skype is free and works on all platforms, so sign up! If you have a microphone, great, and if not, don’t worry about it–Skype has a text-based chat window, too. I may snag an unlimited subscription so if you don’t have a microphone but do have a regular phone and want to be part of the chat, e-mail me your phone number (torie.atkinson [at] gmail [dot] com) and I will call you so you can join us. My name on Skype is torie.atkinson and Eugene is e.c.myers. Cover charge is at least one entertaining story to fill the long…tedious…silences of this film. Drinking game* optional**. Let us know, if you haven’t already, if we should expect you! 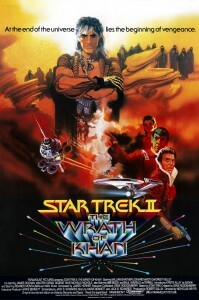 * I did this for Wrath of Khan once. It was insane. 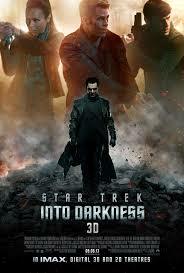 ** It’s not Star Trek V, after all.